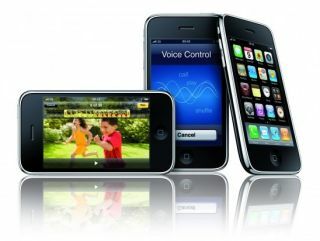 Vodafone has confirmed that it will be stocking the iPhone 3G and 3GS in the UK and Ireland, the second operator in two days to announce such a deal. The news comes after Orange announced it will be offering the iPhone in the UK, following the end of O2's exclusivity deal. The iPhone from Vodafone will be available from early 2010, months later than Orange will be bringing the device, reducing the chance of a major price war this Christmas. If you want to register your interest in the new phone now, head on over to http://shop.vodafone.co.uk/shop/mobile-phone/iphone-3gs prior to launch next year. The new announcement means the iPhone will be available to nearly three quarters of UK mobile phone subscribers, considerably extending its reach. After Orange told us yesterday that it would offer a 'competitive' edge over O2's offering, Vodafone's announcement means it's likely we will now see a price war over the iPhone with each operator frantically trying to attract potential iPhone customers. Oh, Apple has responded to us again about this new launch: "We are thrilled to have signed an agreement to bring iPhone to Vodafone customers in the UK and Ireland in 2010."